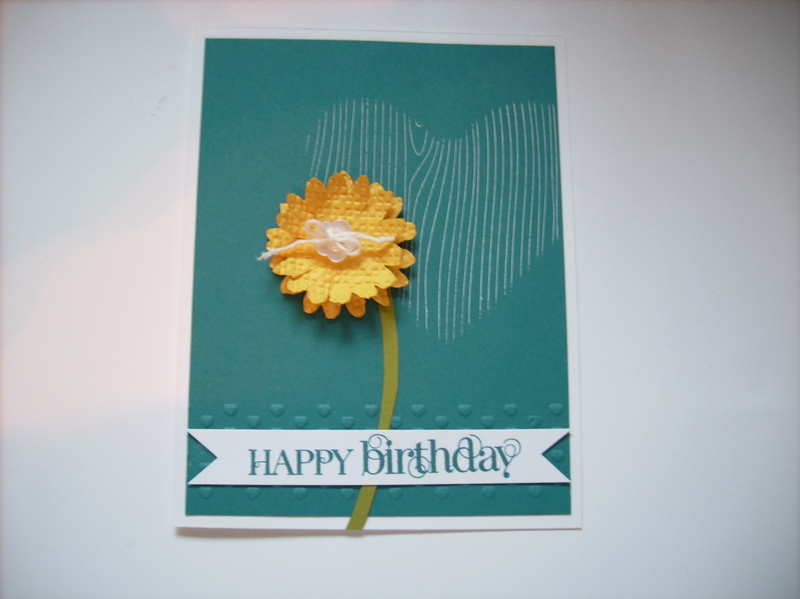 Today’s card is a card from Cammie’s masking 101 class. The woodgrain heart on the background was done by creating a mask using the heart framelit #125599 and then suing the woodgrain #127808 stamp to make the heart. The daisy was made using the secret garden framelit #129372 and then running it through the square lattice textured folder #119976. Cammie stacked 2 daisys together and “fluffed” them to add dimension. She added a flower button tied with a piece of Whisper white bakers twine #124262. 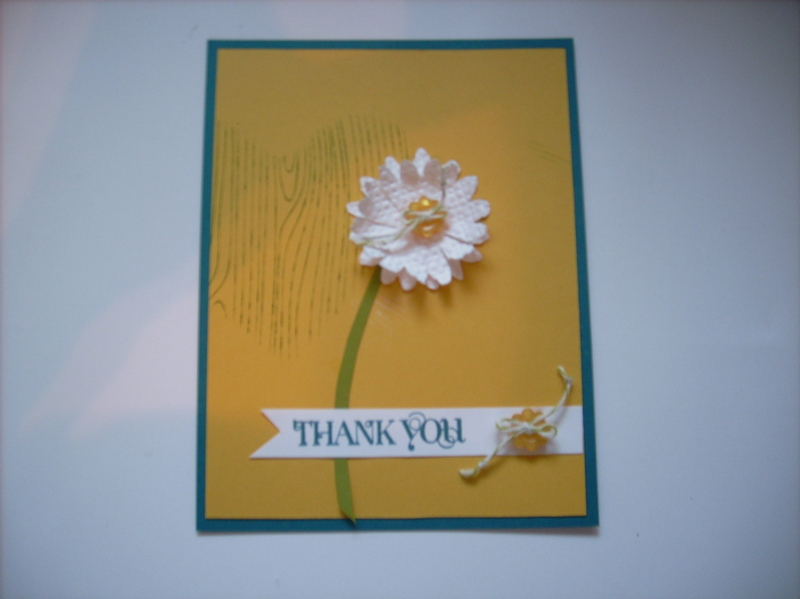 The stem was hand cut and then she added a hand cut banner with the appropriate sentiment to create this super cute and sweet all purpose card.